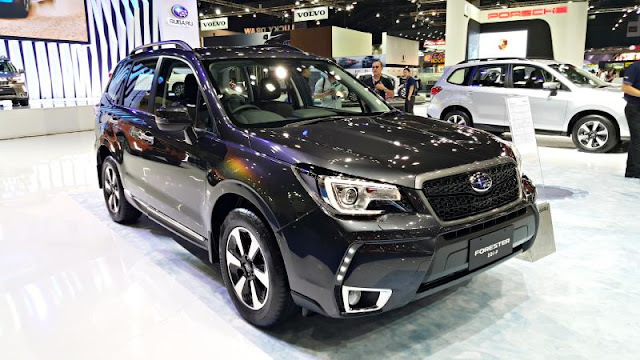 Subaru Forester has been a more common sight on the road in Malaysia in the recent years since this All Wheel Drive (AWD) mid-size SUV has been made more affordable to the general masses. Most of the Forester running on the Malaysian road are the naturally aspirated (NA) version, which are usually marked as 2.0i (standard trim)and the 2.0i-P (premium trim). Then there is the turbocharged version which are rare and not often seen known as the 2.0 XT. Performance differences is huge. the NA is 150ps and the XT is 241ps. Torque is 190Nm vs 350Nm. Pricing wise, it is also significant with RM100K between them mainly due to the CKD (NA) vs CBU (XT) which meant higher tax structure. 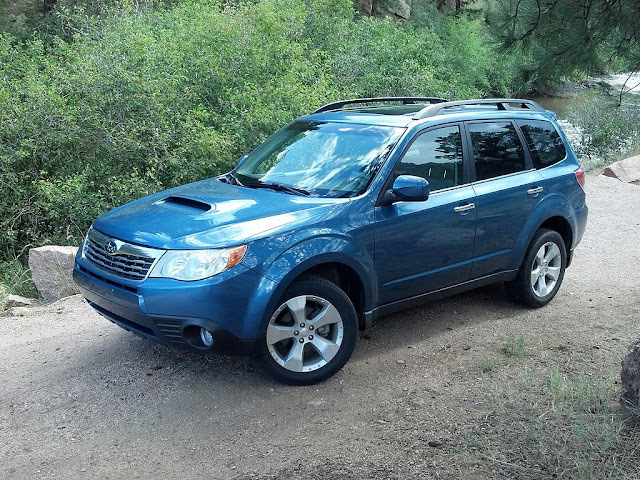 The older generation Forester (up till 2006) was shaped more like a station wagon and with an intercooler scoop. To the Subaru community, they are known as the SG version. It then evolved to the SH version (third generation, up till 2013) where it starts to take shape as a mid-sized SUV vs a stationwagon like stance. When the 4th Generation (or known as SJ) came out in 2013, they took the shape of what you are familiar with. And with Subaru going mainstream and offering NA version of Forester, the XT (or FXT) became similar looking as the NA (of FNA). Some of you may had seen these Forester on the road more than once - and may had tried to outrun them if you are driving similar SUV such as CRV and CX5. So, if you are a new car owner or not been aware of these "Wannabe Sports SUV hiding as Soccer Mum Vehicles", you may had on many occasion, managed to outrun (speed and pick up) these 2.0i and 2.0iP which only packs 150ps (about 148hp if you prefer metric). And maybe, on the rare occasion you came across one that looked exactly the same, only to be humbled - and that Forester ain't even trying. So this post is to help you to identify the NA and the XT. Silver Roof Rail vs all Black Roof Rail..
And if you are tailing from the back, the double muffler is a clear sign it's a FXT. And while these can be installed by FNA, you can't fake it without cutting your lower bumper lip. The FXT is shod with 18 inches wheels with very different rims pattern, while the FNA is on 17 inches (6-spokes). The FXT is 5-spoke in Y-shape. Some FNA are known to replace their 17inches with the FXT rims for the more "complete" look. Not the best photo, but here you go with the rim! These are just a few tell-tale sign of the FXT that you can see physically. The other not so obvious are the huge sun/moonroof that opens up big enough for two adults to climb through. I love the sunroof as it provides a very roomy feel when the interior liner are pulled back. Hope this thread was useful to help you recognise and take notice of the rare FXT! The sun roof is a must!